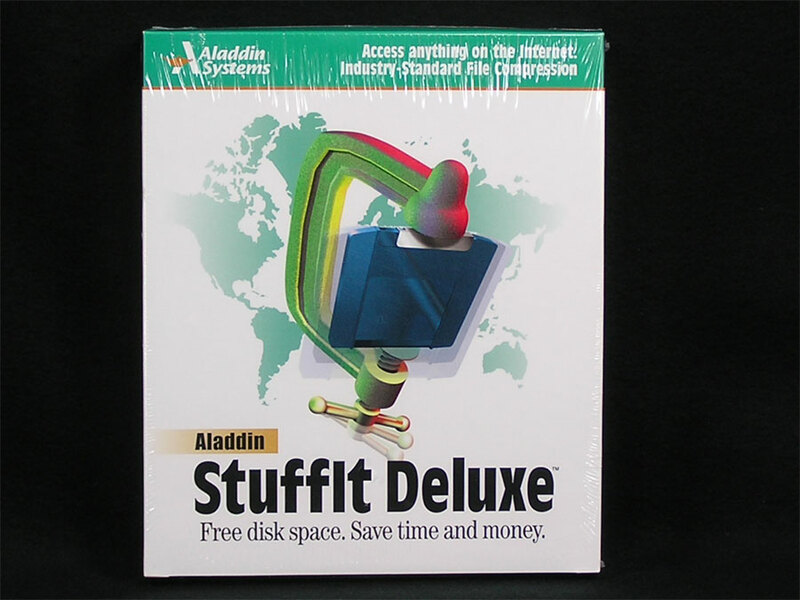 Stuffit Deluxe, Version 5. 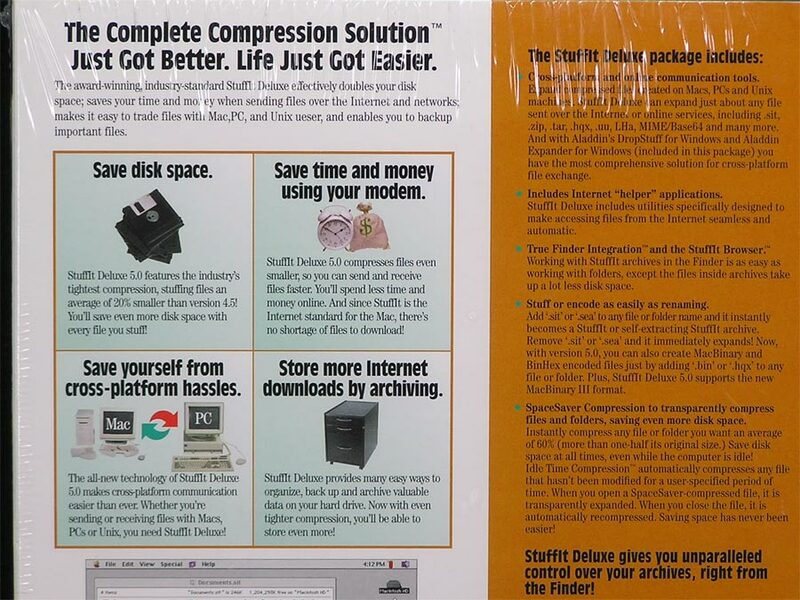 The complete Compression Solution Just Got Better. Life Just Got Easier. 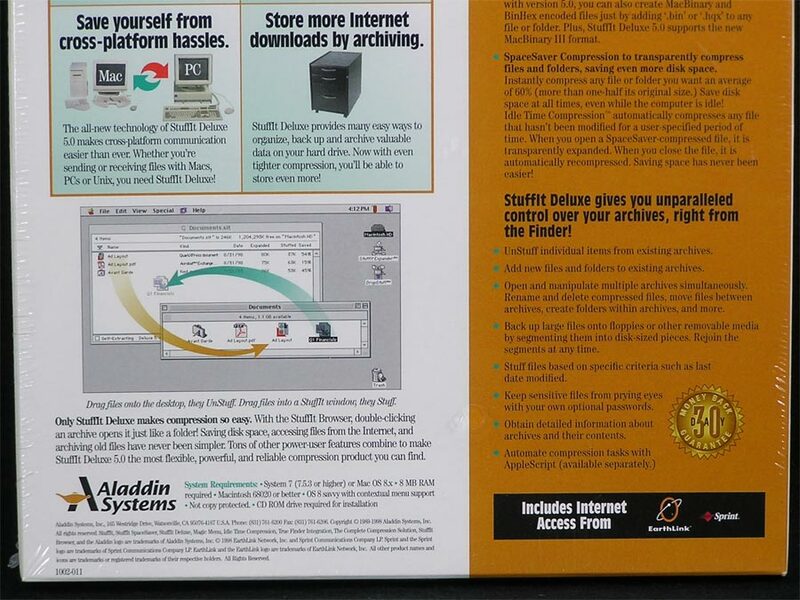 Stuffit Deluxe gives you unparalleled control over your archives, right from the Finder! New, sealed box!